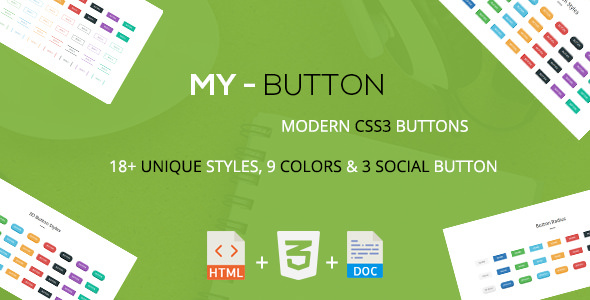 Mybutton is a modern CSS3 buttons collections. It’s have 24+ buttons and 3 social button styles. It’s used standard CSS3 technology possible to huge combinations. You can use this button on your project easily.